The Worldwide Photography Gala Awards announces Winners of the 9th Julia Margaret Cameron Award for Women Photographers (JMCA). Documentary and Travel Photographer Marja Schwartz was awarded for her winning entry. 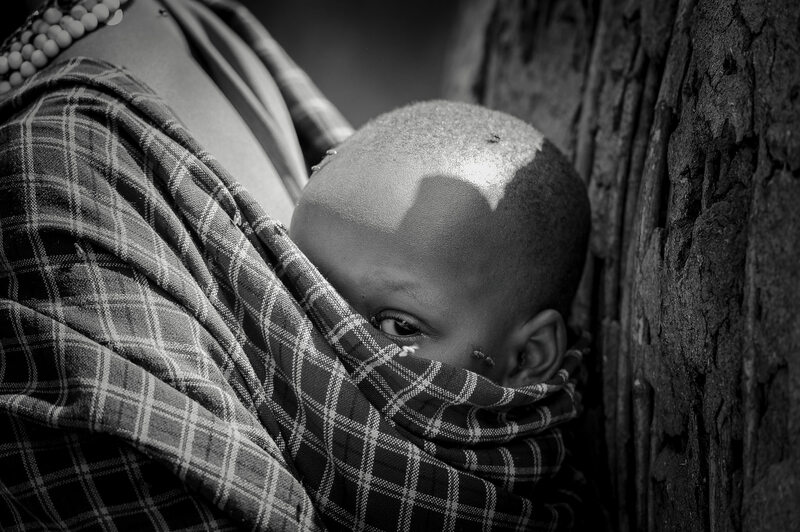 Description: Portrait of a baby from Maasai tribe on the back of his mother, Ngorongoro Crater, Tanzania, Africa. Marja Schwartz was awarded in the 9th Julia Margaret Cameron Award for Women Photographers for the winning entry “Piggyback”. 531 women photographers from 50 countries have submitted from this edition. The juror Andréa Holzherr, Curator (Ecole du Louvre / Sorbonne) and Director of Global Exhibitions of Magnum Photos, has selected the awardees and is pleased to declare that Marja Schwartz was awarded Winner in Portraits / Single Image for the entry Piggyback. The works of the winners will be exhibited at the Berlin Foto Biennale and 4th Biennial of Fine Art and Documentary Photography during the European Month of Photography in Berlin in October 2016. 446 contemporary artists from 41 countries are participating alongside Magnum photographer Steve McCurry.